In 1982, the world was blown away with Harrison Ford and Blade Runner. The movie that made us question whether or not we ourselves were human. Now, 35 years later, lovers of the Sci-Fi thriller are (finally) being graced with a sequel! The October 6th release of Blade Runner 2049. With a star-studded cast of Ryan Gosling, Jared Leto, Robin Wright, Dave Bautista, and of the course the return of Harrison Ford (!!!! ), it’s shaping up to be a killer movie that stands up with the original. This time around, Rick Deckard has disappeared, and it’s up to Officer K. to locate him and save humanity. But, before you watch as Ryan Gosling’s K searches for Deckard, you’re going to want to make sure you’re fully prepared. That’s where Wholesale Halloween Costuemes comes in. 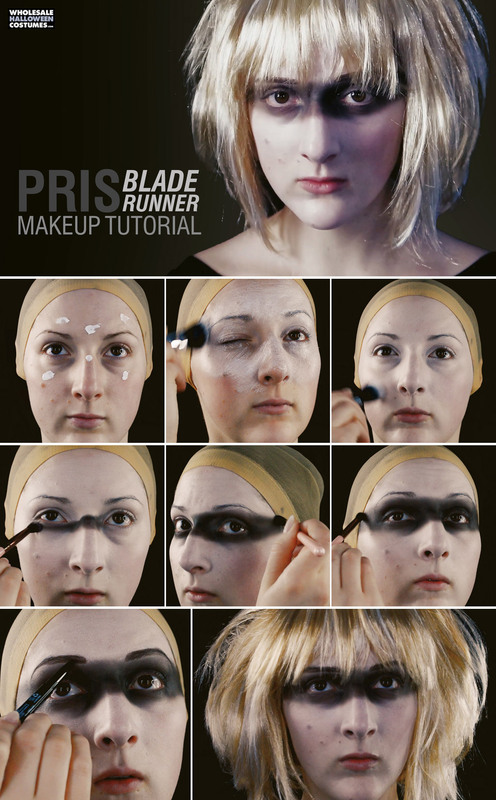 Perfect your look for the premiere – or for Halloween – with this easy to follow Pris makeup tutorial our good friend Caitlyn Kreklewich put together! 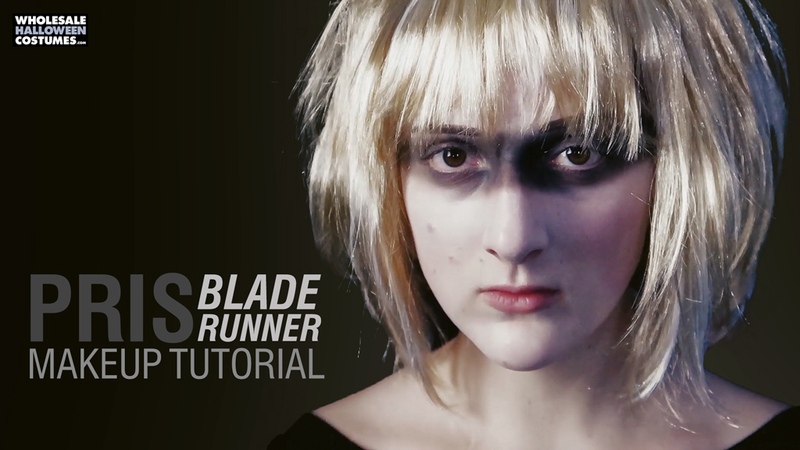 Check it out and share it with your friends the next time you’re searching for replicants! Happy hunting! Go pale for this and blend white makeup over your face and neck. With a fluffy brush apply charcoal shadow right across your face, temple to temple, covering both eyes. Blend and soften the edge of the shadow. Define a thin arched brow. Put on a short platinum wig and mess it up a bit. Pris looks like she’s wearing a wig in the movie so don’t worry about making it look natural. If you love makeup tutorials, cool do it yourself costume accessories or just awesome things based on movies and pop culture, then make sure to follow Wholesale Halloween Costumes on Facebook, Twitter, and Instagram! And of course, check out the trailer for Blade Runner 2049 below and a throwback clip of Pris vs. Deckard!